I graduated from the College of Our Lady of Pilar 1984. After studying two years at the Mayagüez Campus and I transferred to Cornell University where I earned a BA in Animal Science in 1988. 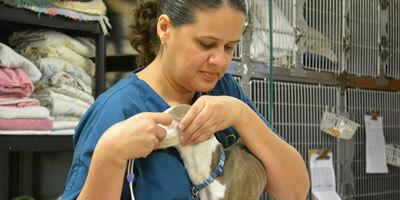 Study veterinary medicine in Baton Rouge Louisiana from 1988 to 1992. I moved to Ames Iowa where I did an internship in small animal and a Master of Veterinary Clinical Sciences for two years. From 1994 to 1997 I did a residency in veterinary surgery. 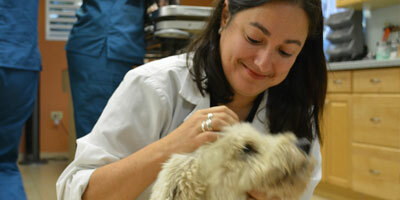 In February 1999 I became a Diplomate of the American College of Veterinary Surgeons. I graduated from Holy Family School in Corozal 1986. Study on medical pre Mayagüez Campus for two years. I obtained a degree in Animal Sciences with a concentration in dairy sciences at Louisiana State University in 1991. I graduated from veterinary medicine from Iowa State University in 1995. Currently besides practicing with small species I provide home services to large species in the North Central region, from the metropolitan area and its adjacent villages. I was born and raised in San Juan, Puerto Rico and graduated from Cupeyville School in 1997. I did high school in "animal science" in Cornell Univeristy in 2001. I obtained my doctorate in veterinary medicine from the University of Wisconsin - Madison in 2004, followed by an internship in internal medicine and surgery at The Ohio State University in 2005. I have a personal interest in high performance sporting events, which motivated me to expand my knowledge in the area of ​​physical rehabilitation of my patients. 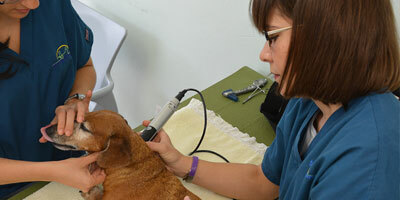 I received my certification in canine rehabilitation therapy (CCRT) of the Canine Rehabilitation Institute in 2011. 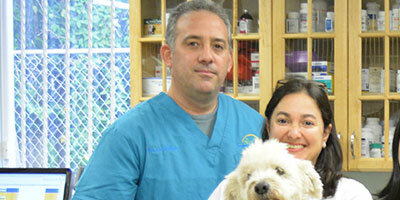 Since December 1997 I started working as a veterinary assistant in a small animal clinic. My passion and interest in the animals grew each day, which encouraged me to finish my undergraduate studies in Veterinary Technology in the Medical Sciences Campus for 2001. In June 2004 I joined the team at VSH, where I had the opportunity to continue expanding my knowledge so we can offer the best care and service that my patients deserve. Gladly I'll be waiting to provide the support and guidance they need to care for their pets.